" You may have been hearing a buzz this week amongst the celestial community about the two neutron stars, which collided in a galaxy 130 million light years away and finally reached Earth in August 2017. 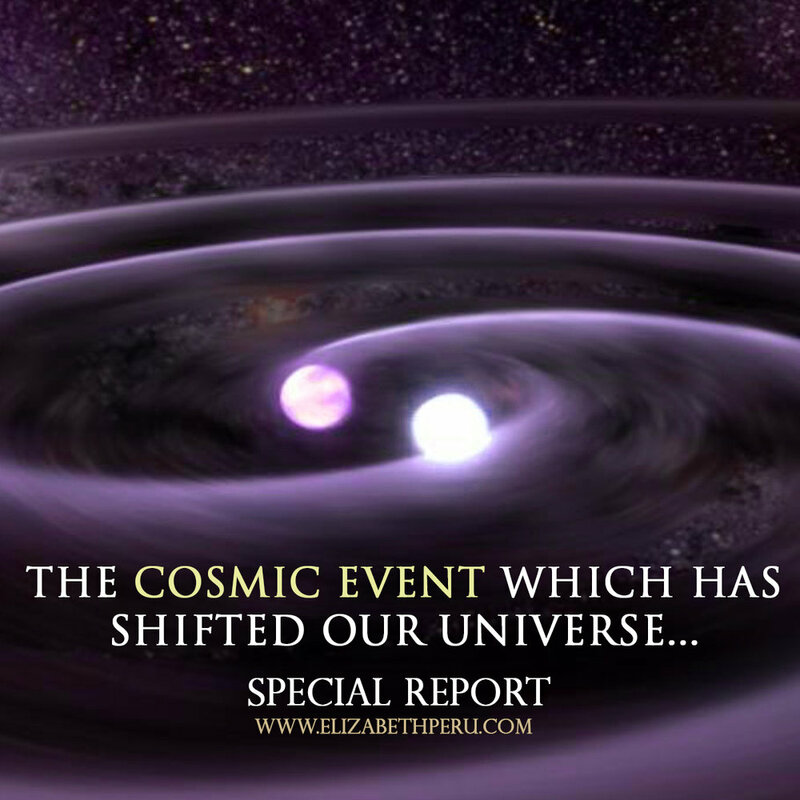 I have been following this story recently and feel the need to give you my intuitive feelings regarding what this super explosion means for us here on Earth, given that it was so intense that it caused a ripple through space time. Neutron stars are apparently harder than diamond and hence two crashing together caused tremendous force, possibly producing a black hole and seeding heavy elements such as precious metals like gold, silver and uranium. Just imagine what happens when you drop a pebble in a pond and the ripples created reverberate outwards into infinity. In August 2017 (right when we were in the middle of Eclipse Season (actually only 4 days before the Total Solar Eclipse) astronomers across the globe recorded gamma ray bursts lasting over 100 seconds. The strongest rays ever recorded and attributed as coming from the galaxy NGC 4993 in The Hydra constellation after the collision of two neutron stars. One of these stars had approx. 1.6 x the mass of our Sun, while the other had approx. 1.1 x mass. Do you have a personal connection with the constellation of Hydra? Does your energy pull you there and if so, have you felt particularly shook up since August? This explosion is known as a 'Kilonova' and was so massive that it literally shook and shifted our known universe in its intensity. The ripples in space time were heard and recorded moving across the universe at the speed of light. The below video from ESO, The European Southern Observatory explains in further detail what occurred. I find the timing of this cosmic event reaching our solar system and impacting Earth's field quite poetic. August was THE POWER MONTH of 2017. I mentioned this in quite a few Tip-Off Forecasts in the lead up to Eclipse Season. In August not only did we experience Mercury, Uranus, Pluto, Chiron, Saturn and Neptune (six planetary bodies) all in Retrograde, but also the intense Partial Lunar Eclipse and massive Total Solar Eclipse. It was a month where our lives were turned upside down and thoroughly cleaned out. Since August the global energy has been anything but subdued. September has been one of the more challenging months of not only this year, but of the past few years. Remember the X.9+ Solar Flares in early September? The strongest in a decade. Global unrest and fierce weather patterns since September have made us all take great notice of what is happening on a cosmic scale. Just consider that as Earth has fielded the energetic ripple events of this Kilonova event, so too have you. How so? Well, for one our sensitive energy fields are... "